Every organization has multiple projects going on at any given point of time. Phrases like “I’m working on a new project right now” or “I just finished a project”, are common in the corporate world. Understandably, these projects need to be properly managed and maintained for an organization to function according to expectations. This is where project management comes in. To start with the very basics, a project can be defined as a temporary endeavor undertaken to create a unique product, service or result. Temporary, because any project will have a definitive beginning and a definitive ending, which is usually when the product has been built or the service has been delivered. This, therefore, means that a project has a definitive scope as well as resources. Unique, because a project is not something that is regularly done, as a part of a routine- its aim is to achieve a particular goal. Since a project has varied sets of demands, an organization usually includes people who don’t necessarily work together- such as people in different geographical locations or people who are a part of a separate organization. Some example of a project could be anything- something simple like preparing and submitting an assignment, or something much more complex, like building a spaceship to explore the galaxy. 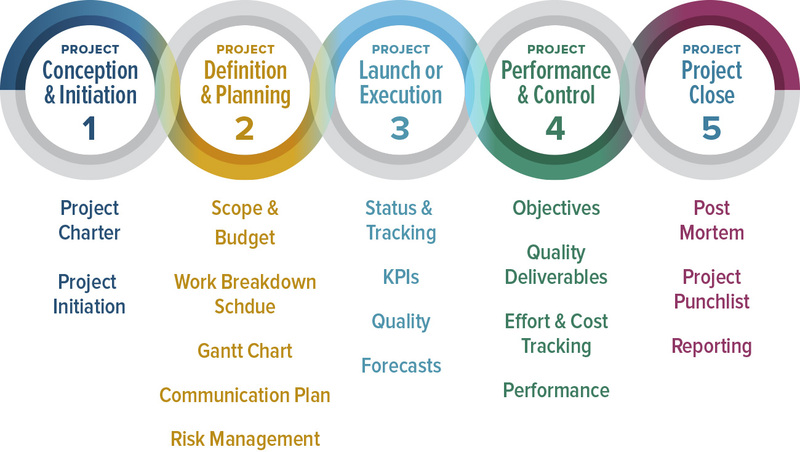 The scope of a project directly depends on the three factors- cost, time and quality. If the scope of a project increases to include newer ideas and methods, so do all these three factors. Similarly, if the cost, quality or time required is increased or decreased, the project scope increases or decreases as well. Now that we have a clear understanding of what projects are, project management can be defined as the application of knowledge, skills, tools and techniques to project activities in order to meet or exceed stakeholder needs or expectations. Stakeholders could include anyone who stands to benefit from the project or is affected in case of project failure. Project management is someone who is responsible for the project and will be held accountable for its success or failure. Initiating: This is where the project’s value and feasibility are measured. Planning: Involves chalking out how the project is to be carried out. Once the project receives the green light, it needs a solid plan to guide the team, as well as keep them on time and on budget. Executing: Making sure that the end product meets the customer’s needs and requirements. Monitoring/controlling: Progress should be constantly monitored and controlled. Closing: Delivering the finished product to the customer. 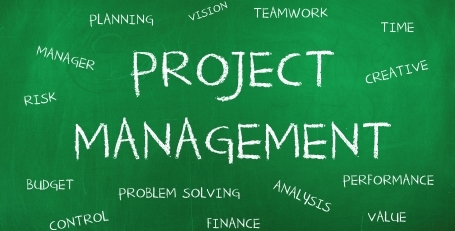 Project management includes multiple disciplines and people from various fields. It is an extremely important part of a project and even though it has been always carried out informally, project management is increasingly being seen as an indispensable aspect of an organization. This has led to a rise of career opportunities in this field as well. In fact, project management has become much easier with software tools like VComply that let you manage your employees and their agendas effectively, thus making sure that projects are being efficiently carried out and customer needs are being satisfied. After all, the most important part of a project is to ensure that it fulfills all the requirements that were elucidated by the stakeholders. Risk management is also a crucial part of project management. To learn more about risk management, click here. Previous PostPrevious Change is unavoidable, and so should be Change Management!